Art Gallery Cards: Card-Making Challenge And More Fun To Come! I hope your week is going well and that you are enjoying some creative time! Have you seen our Color Challenge on Facebook? If not, no worries, since I've posted the cards below and we'll have another challenge announced at the end of May for the first week of June! 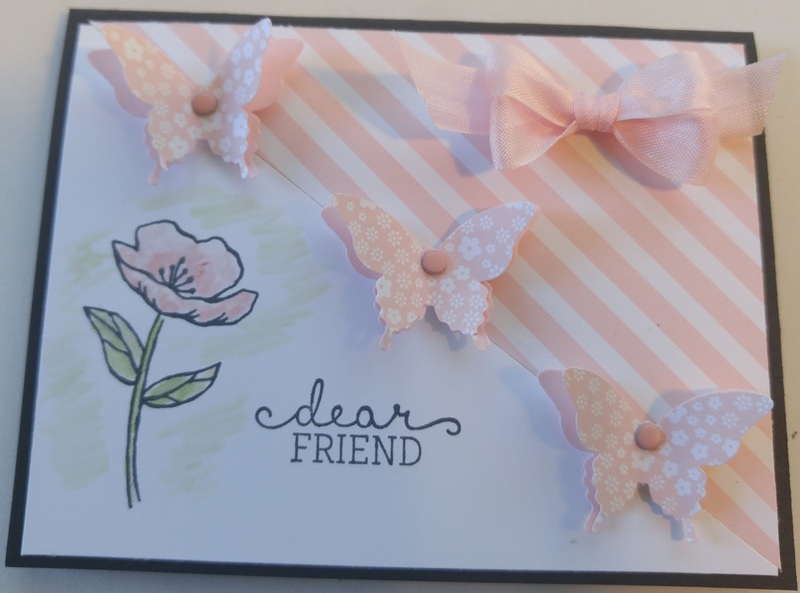 Please give our card making gals a boost by leaving comments and your "Likes"! Thank you!! Anyone can join our Color Challenge! When the Color and Template are published at the end of May, you can send a jpg. pic of your card to me at reenathan@bellsouth.net to join the fun!! Here is the original! 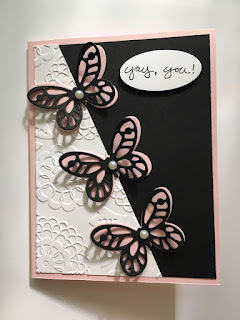 Stampers used Pirouette Pink, Basic Black and Whisper White for the color palette. The layout was just a jumping off point for their creativity! I LOVE their cards!! Here's one of my Downline, Linda's card! 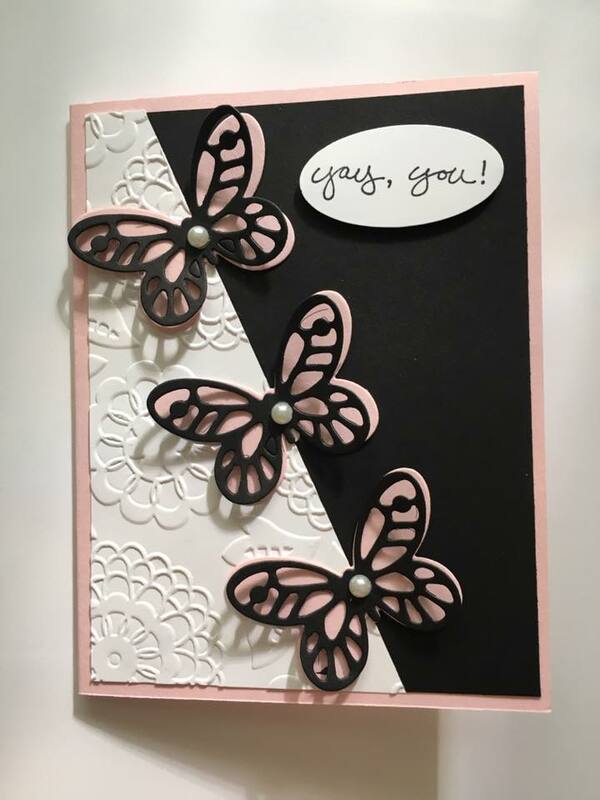 Love her background embossing and the sweet feminine pink/black combination!! Really nice, Linda! Love Mike's, flowers and colored pearls. Blendabilities, though retired, are still wonderful for coloring pearls, aren't they! I had to stop to think to recognize the Botanical Blooms! 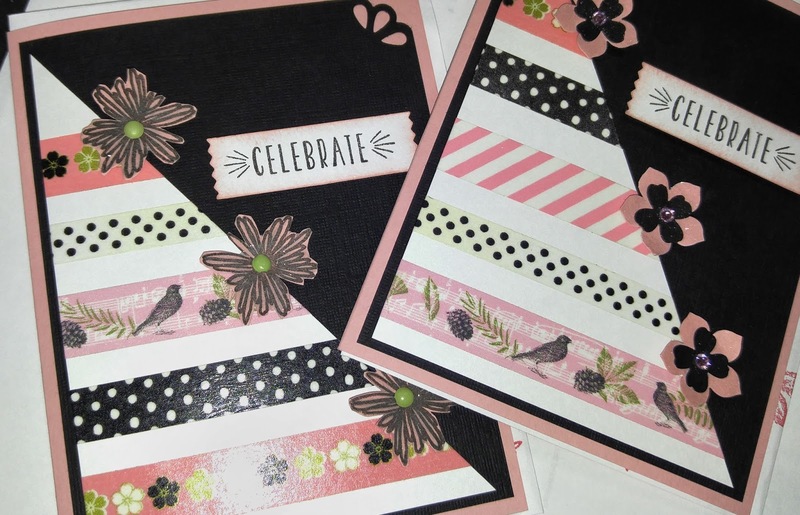 Jane found a fabulous way to use her Washi Tape collection and both cards are fabulous. 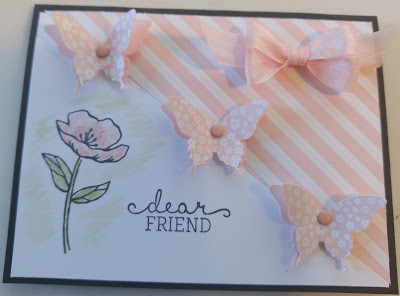 I think I'm seeing some Paper Pumpkin stamps and I especially love the Triple Corner Punch!! 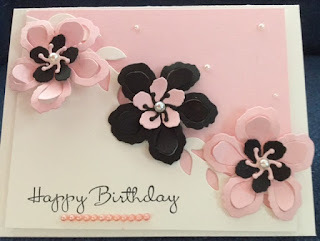 Nancy used paper layers for her flowers and don't you love the Fancy Fan embossed background! Such a pretty card and I think I'd like to borrow her background fabric! Love it!! Have a wonderful and happy week! Watch for some extra posts soon! !